Windows Vista Service Pack 2 is now ready for download. The service pack is for both Windows Vista and Windows Server 2008. Windows Server 2008 or Windows Vista with Service Pack 1 installed. 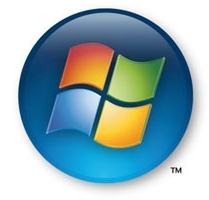 To check whether your Windows Vista has installed Service Pack 1, you will need to open the Window’s System Information. Click Start button and right click on “Computer”. Select “Properties” from the menu. You will see the words “Service Pack 1” under the “Windows Edition” section. If you haven’t installed Service Pack 1, you can do so by running a Windows Updates. Well, here is the link: Windows Vista Service Pack 2 Download.